"I know who your politicians are, listen to reports about your military plans with great interest, but I am most interested in learning about life in Israel, how the society is structured, Sephardi versus Ashkenazi. Adults and young people, trends, culture, even your legal world fascinates me." --A well-placed academic in Iran has an illuminating conversation with Yedioth's Muslim world correspondent, Smadar Perry. Will Neta Barzilay’s new song become a world hit and what does the video clip say about Israelis? The top stories in today’s Hebrew newspapers were about requests by Israeli Prime Minister Binyamin Netanyahu: He asked his party to reserve two more spots on the Likud party list for people of his choice and he had asked the Attorney General Avichai Mendelblitt to postpone the indictment decision till after elections. Likud primaries take place Tuesday and Netanyahu said that the alliances between left-wing parties made it necessary for him to reserve two more spots. But political analysts weren’t sure why Netanyahu was asking now after he had earlier asked for more and had only received one. The request has yet to be answered. No to Netanyahu: Israel's Attorney General Made the Right Decision (Mordechai Kremnitzer, Haaretz+) Those who want to prevent the public from knowing the attorney general’s conclusions are obstructing democracy and belittling the people. Whether he is innocent or not, Netanyahu is entitled to attack the police and the attorney general (Prof. Arieh Eldad, Maariv) The prime minister is allowed to criticize Mendelblitt, the prosecution and the police without being accused of "destroying the rule of law." History has already proven that these systems are not immune to mistakes. Crime and Punishment for Israel's Left Wing (Gideon Levy, Haaretz+) There are very few cases in Israeli politics in which justice is meted out as it is to the Labor and Meretz parties, which have abused their office and are now being punished. Last Gantz saloon (Limor Livnat, Yedioth/Ynet) After a speech that ticked all the right boxes, made all the right noises and even included a contradictory statement or two, the former IDF chief still has to persuade voters that he is a fresh voice and time is running out. Leftists, don't jump ship (Ravit Hecht, Haaretz+) Despite the deep desire of all those who hate Benjamin Netanyahu to finally see him ousted after so many difficult years, abandoning the left in this election to vote strategically would be a crime against conscience. The battle over Israel's security (Yaron Dekel, Yedioth/Ynet) Netanyahu has based his political campaigns on the claim that he alone can defend the country, but he has a poor track record of running against generals, and this time he is facing a joint challenge from two or even three former Israeli army chiefs. Post-Netanyahu, Israel must shake up its judicial system (Daniel Friedmann, Yedioth/Ynet) While the prime minister is the last person to complain about rough treatment from the judicial system, it does some serious problems that need to be addressed. Imagine if Robert Mueller were also Donald Trump's adviser. A military coup coming to replace Netanyahu (Carolina Landsmann, Haaretz+) Maybe it isn’t surprising that a system whose task is to fight Israel's real enemies rebels against Netanyahu, the expert in inventing imaginary foes. If Gantz had prepared the IDF for Operation Protective Edge the way he prepared for his speech - we would have won (Ben Caspit, Maariv) After the sulha (reconciliation) with (former chief of staff Gabi) Ashkenazi and the deal with (former chief of staff and new politician Moshe) Ya'alon, it’s hard to believe that not long ago center the center-left bloc looked like a group of dwarves against Gulliver. And also: Why Netanyahu should not be responsible for the National Cyber Authority. At an international cyber conference that took place here, Erel Margalit suggested transferring that responsibility to the Shin Bet during the election period. Margalit explained that what happened in the US, and also in Europe, in cyber-related election events. In America, the event is featured in the well-publicized investigation of Robert Mueller, who has already arrested most of Trump's advisers. Margalit shows the pattern of cyber intervention in the elections: an external body usually associated with an external government, collaborating with an internal party and distributing huge amounts of Fake News to divert public opinion, while hacking into the headquarters of the collaborator's political opponents from within. In the United States, this has helped Donald Trump to be elected. Will that happen again also in Israel? quite a few networks of bots and/or robots that spread the network through false propaganda have been identified. There is no problem in doing this in Israel, or breaking into Gantz’s or anyone else’s headquarters and obtaining explosive information that will be distributed later on WikiLeaks, or on another platform. This column recently reported that Gantz has already experienced, it is suspected, having had his computer system hacked. Gantz owes his sudden ascent to 20th-century cult of generals and 21st-century 'reality-politik' (Chemi Shalev, Haaretz+) But his campaign may have blossomed too prematurely to yield the sweet fruit that Netanyahu's opponents crave. Gantz needs Lapid to really takeoff (Sima Kadmon, Yedioth/Ynet) Teaming up with former chief of staff Ya'alon is not enough. Joining forces with Gabi Ashkenazi, and Knesset member Orly Levy-Abekasis would be helpful. But only teaming up with Yesh Atid Chairman Yair Lapid would boost Gantz's chances to bring dramatic change in the April elections. Netanyahu's worst nightmare is a last-minute move by top rival Gantz (Yossi Verter, Haaretz+) Polling after Benny Gantz's debut this week showed that Netanyahu could be toppled – on the off chance that a certain megalomaniac politician is ready to play second fiddle. Don't put too much stock in polls (Shimon Shiffer, Yedioth/Ynet) Begin and Peres didn't believe in polls, as they could be misleading, especially those released immediately following the introduction of new candidates like Benny Gantz. Are the polls predicting a major upset? I wouldn't bet on it just yet. Netanyahu Recruits Israeli Army to Election Campaign as Pressure Mounts (Amos Harel, Haaretz+) Some IDF commanders asked to be relieved from hosting the PM. Incitement against attorney general has reached a dangerous point. The imaginary Center will eventually have to decide where it stands on controversial issues. But they don't want to. So what do they do? They obfuscate the messages and hope the public will swallow it. What does that say about how they view the people? Yair Lapid, the Underdog Who Believes He's the Man to Unseat Netanyahu (Ravit Hecht, Haaretz+) The slap he got in the army ■ The lengthy period as both a journalist and a politician (without full disclosure) ■ The crash as finance minister ■ The conviction that he’ll come back big-time ■ A chronology of the rise of Yair Lapid. 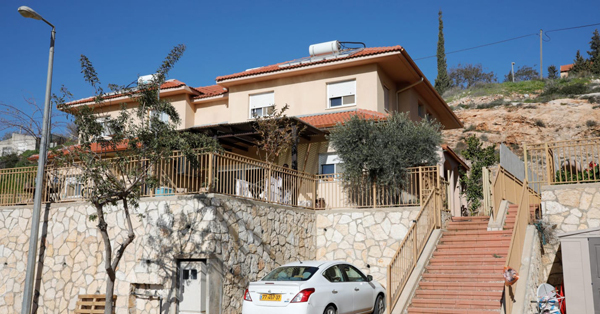 Ignoring the elephant in the room (Yossi Beilin, Israel Hayom) The difference between the camp that strives for peace and the camp that blocks the peace process is one of night and day, of life itself. Israelis can't keep avoiding it to focus on candidates' personalities. Unite to Change the Government (Friday Haaretz Editorial) Joining Yesh Atid isn’t enough. 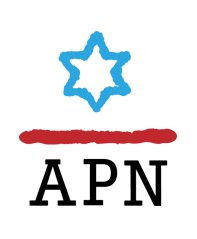 The center-left camp needs the Labor Party headed by Avi Gabbay by its side, and must expand its political ranks and reach out to more partners. Same old game of musical chairs on the Left (Dr. Haim Shine, Israel Hayom) As center-left parties continue to draw votes away from one another, the Likud must take note: Unify the Right, form a respectable Knesset list and work hard. These are the keys to electoral success. Red Flags and Headscarfs: Clinging to Communist Past, Hadash Party Hopes to Reunite Israeli Arabs Behind It (Chemi Shalev, Haaretz+) The party’s new Jewish representative Ofer Cassif is a radical firebrand sure to become the right’s favorite punching bag. At least Gantz didn’t spew hatred (Odeh Bisharat, Haaretz+) The most refreshing part of Gantz's speech is what it was missing: the incitement. What if Netanyahu gave one speech that didn’t boost fanaticism and divisiveness? (Eric H. Yoffie, Haaretz+) Even after four terms as PM, U.S. Jews have heard plenty of ugliness and equivocations, but not what Netanyahu really believes on peace and war, religion and state. That makes advocating for Zionism in America that much harder. Exciting Election? Israel Is Snoring (Salman Masalha, Haaretz+) Every election in recent years has been called 'crucial.' Parties pop up and disappear. Generals come and go. And the country still needs a new left. To understand Israel, look at its veneration of the dead (Eva Illouz, Haaretz+) One of the greatest paradoxes of Israeli national identity is that it draws strength from the lives that are lost in its name. This process has grown particularly twisted among radical settlers, who use death to generate meaning. Protest, but don’t block the road (Udi Etzion, Yedioth/Ynet) Protesters find that it is easier to disrupt the lives of thousands of innocent drivers and passengers, with the consent of the police, than take their grievances to those truly responsible: the government; Those who disrupt the lives of so many people must pay a price, not be awarded with sympathy and understanding. Where are Palestinian politics headed? (Dr. Ido Zelkovitz, Israel Hayom) PA President Mahmoud Abbas is trying to show he is still powerful and can dismiss the government as a way of meeting political challenges at home and on the diplomatic front. Police's convenience isn't a good enough reason to forcefully take suspect's fingerprint (Mordechai Kremnitzer, Haaretz+) Force must only be used as a last resort, not something the police hasten to approve as a matter of routine or of little importance. International Holocaust Remembrance Day was a mistake (Anshel Pfeffer, Haaretz+) The day of remembrance has been desecrated. For Corbyn, Sarsour and Netanyahu it's just political cover: have as many anti-Semitic and Holocaust-denying friends as you like and still pretend to venerate Holocaust Remembrance Day. Although U.S. President Trump looks set to present his much-discussed "deal of the century" in a matter of months, if not weeks, Israel's election campaigns have yet to focus on the diplomatic firestorm at our doorstep. Voters must demand answers. The Absence of Strategy in Washington's Syria Policy (Zvi Bar'el, Haaretz+) After disconnecting from the Syrian theater both militarily and diplomatically, Congress seems to have produced legislation that will likely not impact the conduct of the Syrian regime, but will certainly harm its civilians. Ireland's surprise attack (Clifford D. May, Israel Hayom) Legislation recently passed by the lower house of the Irish parliament amounts to economic warfare against Israel and threatens Israelis, Palestinians and the Irish economy. Tempted to Compare anti-Semitism With Anti-black Racism? Just Don't (Bentley Addison, Haaretz+) When white Jews ‘impersonate’ Black Americans to draw attention to the very real threat of anti-Semitism in America today, and its heightened effect on Orthodox Jews, it’s tactless, divisive, factually incorrect – and unnecessary.